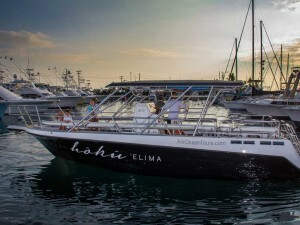 Encounter Hawaiian Spinner Dolphins in their natural habitat. After a light breakfast and short briefing we’ll depart Honokohau Harbor ready for a day you’ll never forget! 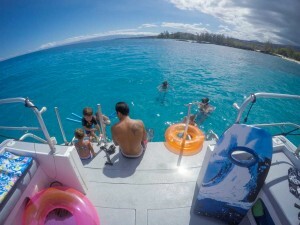 Our Captain and crew are ready to answer any questions you have on our way to find our local Hawaiian Spinner Dolphins. We’ll share stories about the incredible experiences we’ve had and get you ready to make some stories of your own! 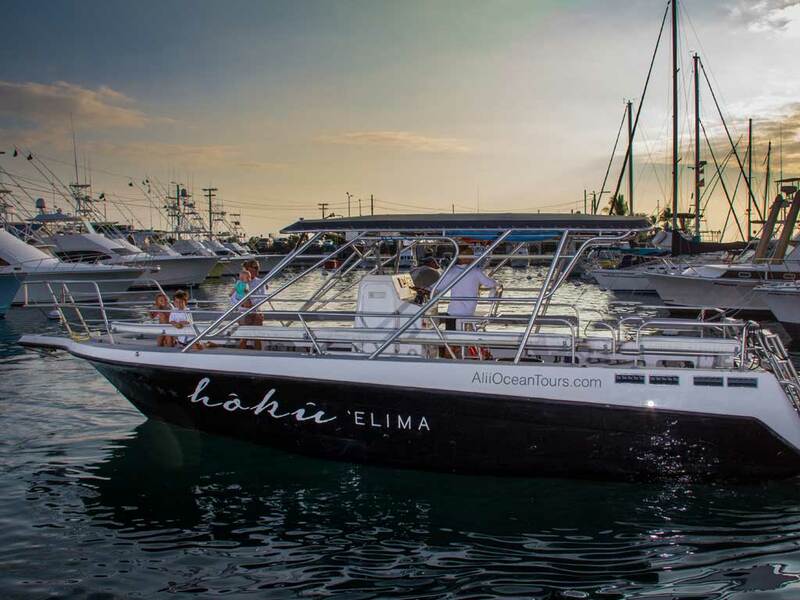 We provide everything you need for an amazing experience with these agile marine mammals. 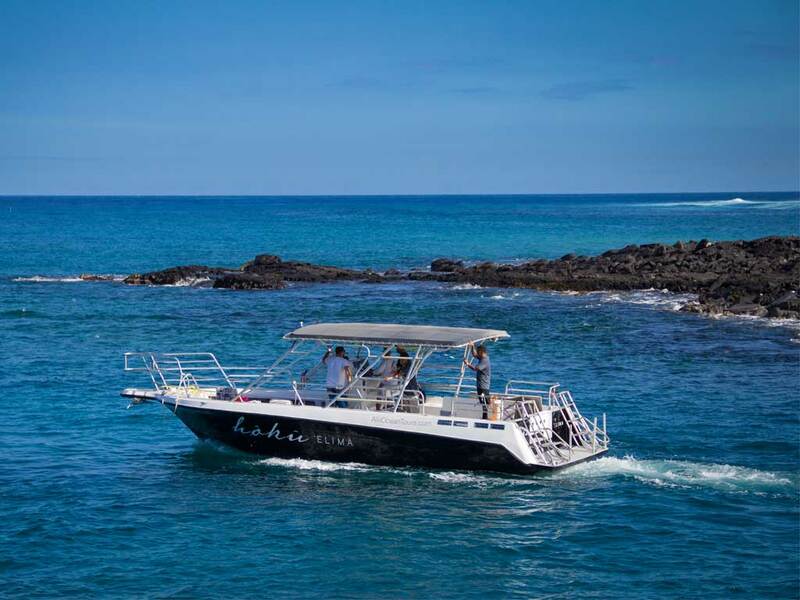 Once you’ve had enough adrenaline for one day we’ll cruise along the coast on our way to one of our many reef snorkeling spots. There we’ll enjoy a delicious lunch while taking in the sun and scenery. 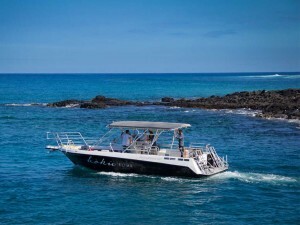 Whether it’s a private beach, secluded cove, or our tropical fish packed reef near Kona town you’ll be once again blown away by our incredible island.